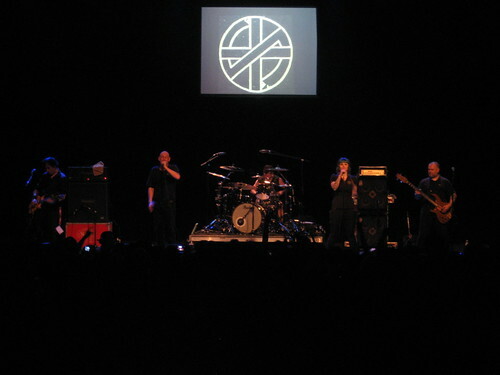 ... or by it's proper name - Steve Ignorant Presents Crass Songs 1977-1984. As long as you went in not expecting Penny and company there should have been no problems. I was happy, Gizz from Broken Bones played guitar. English bands like English Dogs and Broken Bones helped me make the connection between metal and punk in those early years. I wasn't there to shoot the show, actually two of the kindest people ever got me in to the sold out show, Chad Strife and London May- THANKS guys! 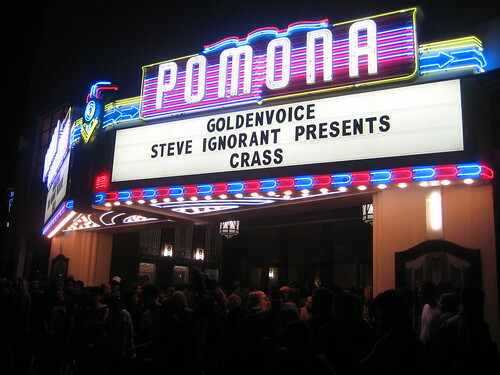 And for the record I was never the biggest Crass fan but this was a good show and I think Steve sounded great. Better than him was Nicole taking over for Eves songs... highlight of the night for me was So What?